Funny anecdotes, interesting interviews and a cutely-sarcastic rundown on life. Also includes random travel tips and don’ts, a few beverages, and news stories that you might not hear anywhere else. Live from Jenn’s CRV, Guest Julie Ramey discusses the mantra that sustains her: You Can Do Anything for 24 Hours. This episode explores clichés, how we can avoid them, and the 13 we hope are retired! Don’t forget to share your feedback and ideas on Facebook.com/sarcasmsisters - thanks for listening! Season two’s more relaxed, sarcastic tone continues this week with special guest (Bloomington) Parks and Rec’s very own Julie Ramey, a.k.a. possibly the real Leslie Knope, maybe. This episode is a magical mix between exciting and terrifying, where we talk about everything from Chito‘s vomit to spider bites in the groin and naked Rupert. Join us! A new season, a fresh new podcast to start the year off right. We’re exploring outside our caregiving life! 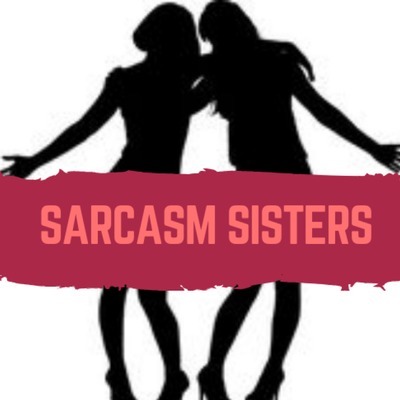 Funny anecdotes, interviews and interesting stories will make Sarcasm Sisters 2.0 worth the listen! Running into road blocks, running out of batteries, running home...don’t we all seem to always be on the run? This is our Christmas Eve Eve 2018 episode. Looking forward to 2019! Don’t forget to visit our Facebook page, www.Facebook.com/sarcascmsisters. Send us a message if you’d like to be a guest! This week we interview Michelle Bassett, of Las Vegas, Nevada. Michelle is a two-time cancer survivor, and Elizabeth Dole Foundation fellow for the state of Nevada. We’re excited to talk to her about her life after cancer, what she’s doing for other caregivers and veterans families, and ask her a few fun things about Vegas along with some travel tips and don’ts. We’re drinking coffee of course, and talking about what it means to be an advocate, what it means to show story, and how anyone really can encourage others. We hope you’ll join us. 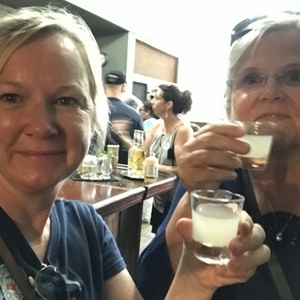 In this chapter, Jenn & Mar catch-up after their weeklong trip to DC, explain the importance of advocacy and sharing your thoughts and concerns with elected officials. Mar makes a BIG decision about retirement as she looks ahead to her husband’s upcoming surgery. Jenn has a car tour of DC, is looking forward to the holiday decorations in NYC, but just really wants to enjoy the fun of gift giving and merry making this holiday season. Oh, and there’s drinking. Coffee drinking, of course. Bonus content: Jenn interviews Megan, a team member at Healing Household 6, a nonprofit focused on fostering military family resiliency and serving military and veteran caregivers who’ve experienced domestic violence. Join us and learn more about this amazing organization! Mar and Jenn talk about their upcoming trip to DC, traveling challenges for caregiving, and the importance of me-adership! Jen and Mar are practicing the Optimist Creed, trying new fitness routines, and working hard to conquer the world. Okay, well maybe just working hard to conquer *their* world. Mar and Jenn explore the importance of having a tribe, scheduling downtime, and why boundaries matter for caregivers. Even the best plans change in the face of a hurricane. In this episode, Mar and Jenn discuss Hurricane Florence, fleeing a disaster when you are a caregiver for someone with a disability, the resources available and the impact of all the stress. Mar and Jenn reminisce about their first ‘real’ jobs, the sometimes difficult job of caregiving, and how hurricanes affect caregivers. Jenn also reveals she is a ‘worst case scenario’ person and Mar remembers a time when she had to make donuts! S1:E1 Who are the Sarcasm Sisters? An introduction to Mar and Jenn and some teasers about our new podcast.